Product Detail: What's Up, Zak? 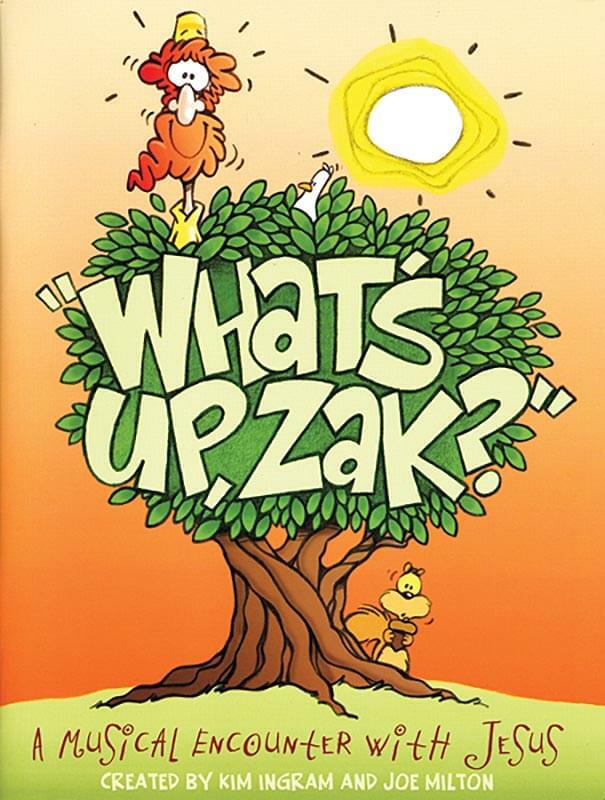 Lift the hearts of your congregation with What's Up, Zak?, a fun and heartwarming exploration of the Bible story. The familiar tale of Zacchaeus is relived as one rich but lonely tax collector casts his ego aside and climbs a tree for just one glimpse of Jesus. Funny, lively songs introduce a town bustling to prepare for a visit from a V.I.P. : Very Important Prophet. The Director's Edition includes extensive production notes and a full score. The Singer's Editions have the vocal lead line only, so that young singers can practice sight reading. They also include acting and singing tips paired with encouraging Bible verses. What's Up, Zak? has flexibility written into the script. The narration parts, for instance, can be performed by multiple children and accompanied by background music, which is included on the soundtrack. There are options for adding two extra Tax Men, 2 extra Party Planners, and 1 extra Yes Man, also adding some time. Performed as written, it runs under 40 minutes, but it can be extended to over 50. The Downloadable Teacher's Resource Kit and Student Devotional Book allow directors to make as many copies as they need for the staff and students. The Devotional Book has Scripture lessons, memory verses, activity pages, and a journal, all tied into the Scripture lessons students will be learning through the musical. The Teacher's Resource Kit features crafts, drama games, snacks, Scripture lessons, and production notes.